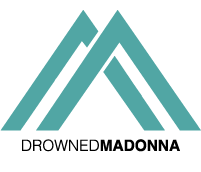 We are excited to disclose another dance track that Madonna recorded for her ucoming album. It’s called Illuminati… and it’s the track we talked about when we said that Lady Gaga is mentioned in one of the new Madonna‘s songs. You may have heard of the secret society called Illuminati. Reality of just fiction? Several celebrities, including Madonna, have been associated to the Illuminati – which means enlighted – and their symbolism. With this song it’s like Madonna is making fun of this theory. “The eye of Horus is looking at us,” she sings. It’s probably Madonna saying that illuminati is just a media conspiracy. It’s like everybody in this party is shining like Illuminati. It’s not Jay Z or Beyoncé / Neither Steve Jobs nor Bill Gates / Nor pyramids or stacks of cash / Neither in black magic, nor Gaga, nor Gucci, neither Prada. Illuminati is a very upbeat track and it’s mostly spoken. But do not expect anything like Vogue when Madonna mentions tunes of celebrities. Illuminati is a great song for the dance-floor, but it’s one of the tracks that could not make the final tracklist.